Is it super lame to make cupcakes for myself on my birthday? Ok, good! At least they’re healthy cupcakes?? 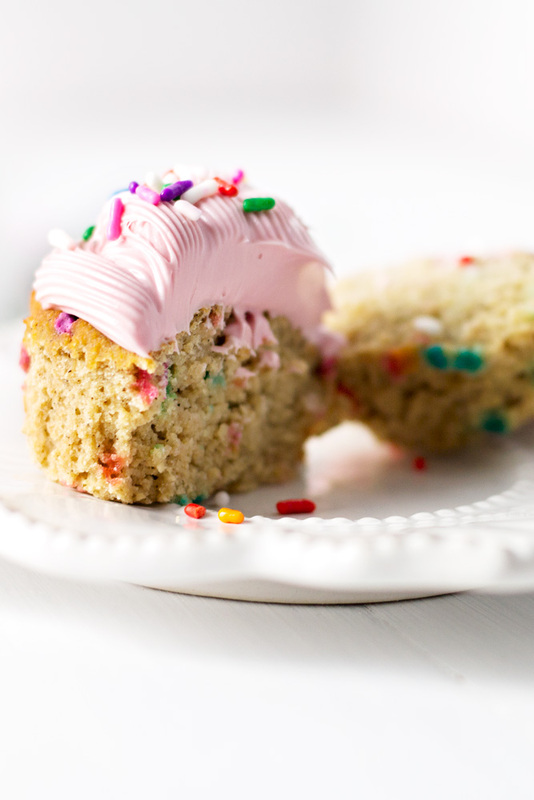 While in the past I’ve always had boxed or store bought, preservative filled Funfetti cake or cupcakes (eek! 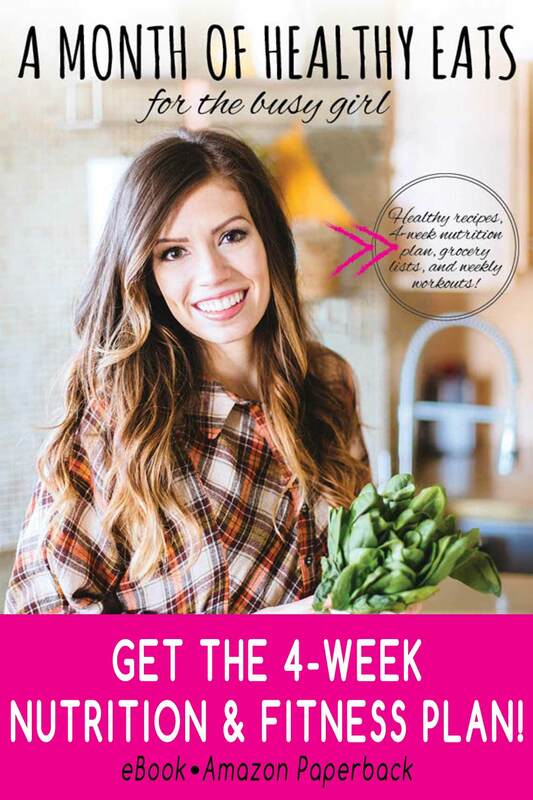 ), this year I’m keeping it clean and giving a shout-out to my gluten-free friends! 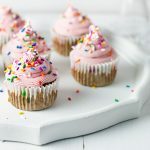 This Gluten Free Funfetti Cupcakes recipe is made with coconut flour, these clean sprinkles, and an all-natural icing dye made out of beets (this stuff seriously makes me so happy)! And as always, you guys know I’m all about honesty. If we’re gonna cheat, let’s just put it out in the open! I wanted these cupcakes to look amazing for my photos and wanted the icing to stand strong, so I used this gluten-free organic frosting mix and combined it with grass-fed, organic butter for a buttercream that would hold up. HOWEVER, the pecan icing recipe from my Maple Pecan Doughnuts post is SOOOO good and should hold up great as well as the icing recipe in the Birthday Cake Rice Krispie Treats or the Berry Shortcake recipe. So many options! Mix together all of the ingredients (adding the sprinkles last, once the mixture is uniform). Pour the mixture into cupcake holders. Add icing (optional) and enjoy! These are SOOOO beautiful! 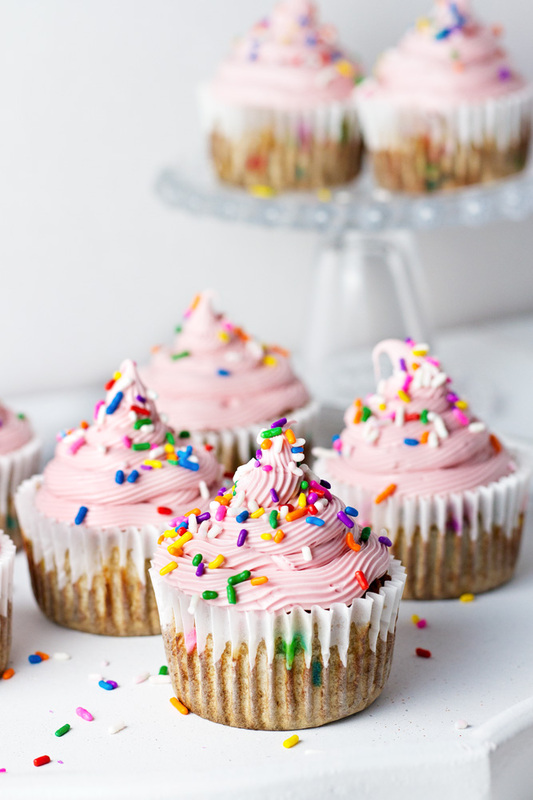 I am a big, BIG, big fan of sprinkles and I love that you made them grain free too. Happy Birthday! I LOVE funfetti. 🙂 I was really excited to see that they used coconut flour. Thank you, Emily! Meeeeee too! 🙂 Yes, I love coconut flour too! These are beautiful! I LOVE your photography! Happy birthday! 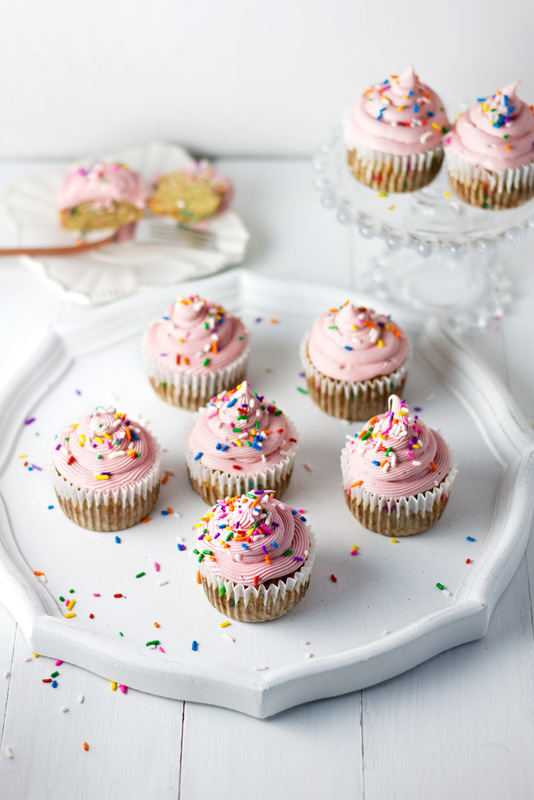 It’s not a proper birthday until funfetti is involved – these cupcakes looks almost too pretty to eat. 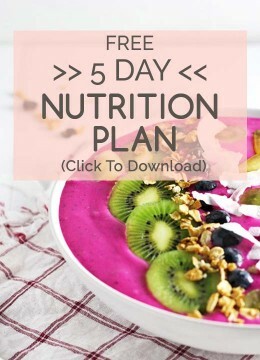 Not that that would stop me from having one…or five! Thank you, Sarah! I definitely agree 🙂 Haha! Thanks, Bethany! 🙂 🙂 🙂 Me too, same! 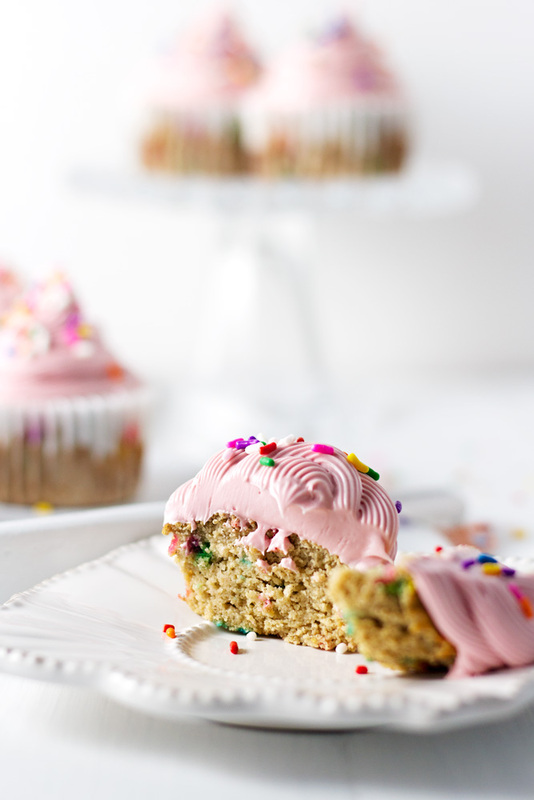 Thank you, I’ve always wanted to find a way to healthify funfetti cupcakes, so this was a super fun recipe for me!